Each period has its own history. Each period has its own heroes. In 1999, the famous Indonesianist Benedict Anderson wrote that what Indonesian people called "reformasi" in 1998 had actually occurred in early 1900. Since that period, there have been many heroes who raise the national awakening. Thus, what is happening today is similar to what happened in the past. Ben Anderson said that Indonesia had given birth to many heroes. They are Dr. Sutomo, Natsir, Tan Malaka, Kartini, Haji Misbach, Pramoedya Ananta Tur, Yap Thiam Hin, Sudirman, Roem, Sukarno, Hatta, Armijn Pane, Sudisman, Haji Dahlan, Hasjim Asj'ari, and more. In his article, he asked a question: who is the hero in contemporary Indonesia? Which person is worth admiring in modern Indonesia? I assume that not everyone understands about the contribution of Iwan Fals to social change in Indonesia. Maybe he did not understand that through his songs, Iwan Fals always talks about the sad social reality of Indonesia. Anderson’s view reflect the opinion of many people who think popular music is not important. As noted by Lockard (1998), there is always a connection between popular music and the political situation in Southeast Asia. Lockard believes that a singer has a function as a political actor, especially in the way these performers use music as a social weapon or tool – and even sometimes as a call to change, challenge or overthrow the existing government or socioeconomic condition that they consider as unjust systems. In this context, Iwan honestly speaks about poverty, prostitution, government corruption, rising prices, and also public representatives who always sleep at the parliamentary hearing. He also played an important role to kindle the spirit of reform of Indonesian students during the reformasi period. I still remember that in 1997, when I was a freshmen student at Hasanuddin University at Makassar. At that time, Indonesia and other Southeast Asia countries were hit by the monetary crisis. Everywhere, prices soared. In all major cities, protests continued, requesting President Soeharto to step down from the presidency. Almost every day, I always lead Hasanuddin University students to demonstrate. Unfortunately, there were not many students interested to join our demonstration. Most of them just watched us marchng in the streets. At that time, the New Order regime was still powerful. Many activists were kidnapped and killed by the military. One day, me and other student activists had an initiative to invite the living legend of Indonesian music, Iwan Fals to play. In 1997, Iwan Fals came to Hasanuddin University. He came as a member of Kantata Takwa band with the poet W.S Rendra, the musician Sawung Jabo, and the businessman Setiawan Djody. They sang critical song about the government. The students hoped that Iwan would sing Bongkar and Bento, two powerful songs that we always sang in our demonstrations. Then, Iwan sang Bongkar (demolish) and Bento. The songs ignited the spirit of thousands of Makassar students. After that time, most university students joined us in every demonstration. Hundreds of students went to Jakarta and joined with thousands of other students to demonstrate in front of the House of Representatives. Iwan Fals and his band traveled to many areas and sang his critical songs. Finally, our effort paid off. On May 21th, 1998, Soeharto resigned as President of the Republic of Indonesia. For me, Iwan Fals is a contemporary hero who inspires many people to be critical of the authority. Iwan Fals has always been the voice of Indonesia's grassroots movement since the New Order era, but until now, he has preferred not to be its formal leader. He just keeps doing what he does best - singing and cheering - and maintaining the qualities of his song and conviction that keeps his fans loyal to him. Here's why Iwan Fals matters: because boy bands don't take on dictatorships. They don't stand up when everyone else is hunkering down. They don't put to song what others are afraid to put in print. Pop stars should give a damn—when they do, remarkable transformations are possible. 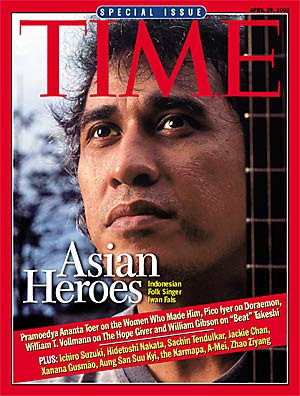 Time also noted that Iwan Fals concert is the most widely attended concert in Indonesia. Time noted: "He's the voice of the people. And he has been a thorn in the side of those who would abuse power." Another prominent magazine focusing on music, politics and lifestyle, Rolling Stone, also wrote a comprehensive report about Iwan Fals. This magazine made ​​a list of 150 best songs in the history of Indonesian music. 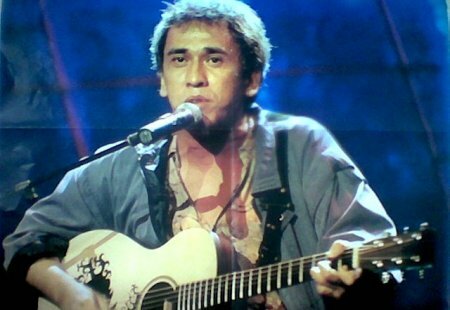 Iwan Fals’ song “Bongkar” became the best song on the list. Two other songs such as Guru Oemar Bakri and Bento were also in the top ten. According to Rolling Stone, Iwan was a musician who inspired many people with the power of his lyrics. During the 1950s and early 1960s, Indonesia was led by the charismatic President Soekarno, the founding father of Indonesian independence. In this period, Brigadier General Rudi Pirngadie, a veteran of the revolution sometimes called “General Kroncong”, attempted to create an updated (and somewhat westernized) version that could serve as ‘a concrete symbol of nationalist ideology.’ Sukarno supported Pirngadie’s attempt to create a national music for international distribution. During the tumultuous Sukarno era, however, keroncong gradually declined in popularity, seen by many as overly mellow (even insipid) and –ironically, given its origins – bourgeois. In this era, a new form of proletarian theater called ludruk became widely popular in some cities in Java; the closely related art form, lodrok also developed in Madura. The styles were considered crude compared to the elite wayang. Mixing music, comedy, and satire, the ludruk performance generally depicted problems and issues of modern society, including social criticism and problems of slum dwellers. Under the New Order, control of the arts and media by the government was mixed and inconsistent, but generally Indonedia enjoyed a thriving and vibrant artistic scene –including music. Between the mid-1960s and 1990s, Indonesia developed a wide variety of popular music styles, some of which proved conducive and supportive to socio-political comments and critiques. Popular music became a major component of the background for daily life (Lockhard 1998; 78). In 1978, a singer, Mogi Darusman appeared with his song Rayap-Rayap (termites) and Koruptor (corruptor). After that, in the early of 1980s, Iwan Fals came with his song, Oemar Bakri, a story about the fate of a teacher whose salary is not rising. Then, Bimbo became popular with a song that talked about social reality. Bimbo’s famous song was Hitam Kelam (Black), which tells about the life of prostitutes in Jakarta. After that, Bimbo launched Tante Soen. This song told a story about the government official wives in Jakarta. There was also Ebiet G. Ade who saw the disaster caused by man's sin. Besides these artists, there was also Doel Soembang with his song Mimpi Siang Bolong (daydreaming). This song told about a farmer who was ruled by a wealthy king. The king had unlimited money that was stored in many banks. Other names that followed the same direction in this period were Harry Rusli (1951 - 2004), Franki Sahilatua (1953 - 2011), Leo Kristi, and Rhoma Irama. Why should Iwan Fals be an icon of Indonesian protest music? In this article, I propose some arguments. 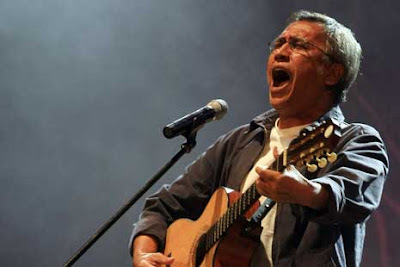 First, Iwan Fals is one of the most prolific musicians in Indonesia. A senior musician from Surabaya, Gombloh (1948 - 1988), which is also known to be very critical of the government, only produced six albums during his whole music career. Another productive musician, Franky Sahilatua, produced around 30 albums. Some of them actually were composed with the help of Iwan Fals. Iwan Fals himself produced about 45 albums. Until now, he remains productive to deliver musical albums that are made in accordance with the spirit of his time. Second, Iwan Fals has many fanatic fans who spread his ideas across Indonesia and the world. The fans come from different social backgrounds, ranging from the upper class, the middle class, up to the 'grassroots'. Many of them see Iwan Fals like a God (dewa). They display Iwan Fals’ poster picture everywhere. The imagery of Iwan Fals is also illustrated in their t-shirts. Also, many of his fans made a tattoo of Iwan Fals as a symbol of loyalty. Iwan also has a charisma that makes nearly everyone willing to attend his show. This is the power that is not owned by other singers and musicians. It is not surprising then to hear that Iwan Fals’ concert became the biggest concert with the largest audience in Indonesia. In addition, Iwan Fals is the only singer who forms a massive organization for all fans called Orang Indonesia (OI). Indeed, other singers also form fans club. But, Iwan Fals’ fans organization is different compared to others. Iwan manages the organization with the goal to empower its members economically and develop a sense of community. This explains why, on August 2, 1999, he invited thousands of its members to come to his home in Leuwinanggung, Bogor, to talk about this organization. A huge number of fans that have various backgrounds came to his house. They agreed to make the people of Indonesia (OI) into a mass organization. They planned a national gathering which was attended by thousands of fans. They formed the organization in all cities throughout Indonesia with an estimated number of members up to 500,000 people. However, this number is not totally true. According to a study by a student of the University of Indonesia in 2002, Iwan has 46 million fans. In comparison, Susilo Bambang Yudhoyono (SBY) garnered slightly over 60 million votes in the 2004 elections to become the country's first democratically elected president, while the incumbent Megawati Sukarnoputri at that time collected only slightly over 40 million votes in the runoff election. Third, Iwan Fals songs could explain many socio-political contexts of the New Order. The songs recorded the events in the New Order period and also described human interactions that existed at that time. Prostitutes, the jobless, thugs, underpaid teachers, newspaper vendors, the homeless and thieves, all of them have their own special place in Iwan's lyrics. Some attribute his close relations with the marginalized people to his experience as a street singer in Jakarta and Bandung from the age of 13. Even after producing four albums from 1979 to 1987, including Sarjana Muda and Sugali, Iwan often still performed on the streets, especially in the Blok M area, South Jakarta. Fourth, Iwan Fals is one of the few musicians who have a strong network with pro-democracy activists. 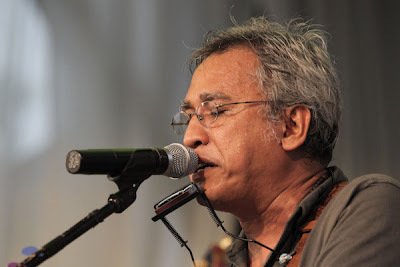 On the eve of reformasi, Iwan Fals joined with the Kantata Takwa, a progressive network of the regime’s challengers, along with the critical poet WS Rendra. 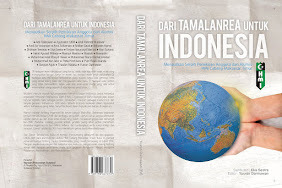 According to the noted journalist, Andreas Harsono, in the 1990s, Iwan often came to Salatiga to meet the prominent sociologist, Arief Budiman. 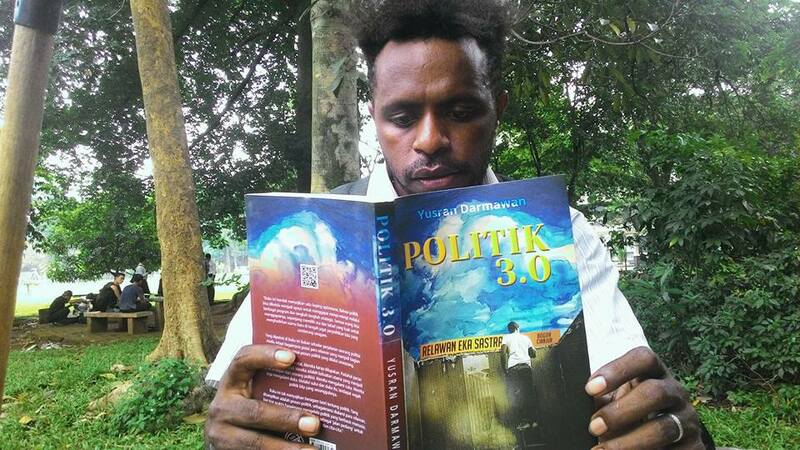 He learned how to understand political issues from Arief Budiman. 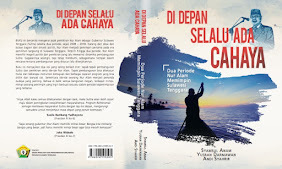 He also read a book, Catatan Seorang Demonstran (Notes of A Demonstrator), that was written by Soe Hok Gie, the younger brother of Arief Budiman. Iwan also often held discussions at his home in Leuwinanggung, Bogor. He invited speakers such as Budiman Sudjatmiko, Sri Bintang Pamungkas, Khofifah Indar Parawansa, Anang Hermansyah, Franz Magnis Suseno, and the former Minister of Youth and Sports, Adhyaksa Dault. The discussion topics were varied, such as religion, love, politics, piracy, violence against women, AIDS disease, the fuel price hike, corruption, strikes, labor issues, until the national debt. Through this discussion, Iwan tried to get inspiration. He also built a network with these critical figures in order to learn from them. Fifth, Iwan Fals’s influence is not only felt in Indonesia but also in other countries. 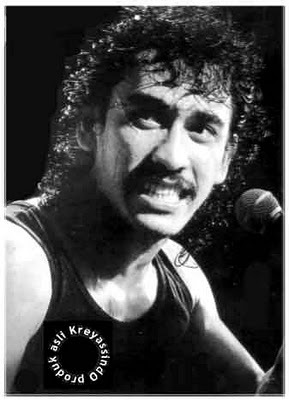 Mandal (2003) noted that Iwan Fals influenced many Malaysian artists in their anti-establishment criticisms. One of them is the famous Malaysian cartoonist Zunar. Similar to Iwan’s lyrics, Zunar creates political cartoons to criticize politics in Malaysia. Zunar has also written about the collaboration of Iwan Fals with several artists as an effective force to overthrow the regime. Zunar wonders in his conclusion, if artists in Malaysia might be able to collaborate fruitfully to do the same thing. In addition to the above mentioned arguments, I want to highlight two controversies concerning Iwan Fals. First is his family background. This history is a very interesting fact to be explored. Though his songs often promoted grassroots phenomenon, Iwan actually came from a middle class family. His father was a soldier with the rank of colonel. If Iwan comes from a military family, why would he make some lyrics criticizing the military? Second is Iwan’s close connection with many businessmen. As part of the upper classes, who made ​​friends with entrepreneurs, can we say that Iwan was a propaganda tool of the entrepreneurs and the middle class to topple down Suharto? Given the circumstances, can we explain the reformasi as an expression of the middle class who actually wanted social change? This article aims to explore these two questions. 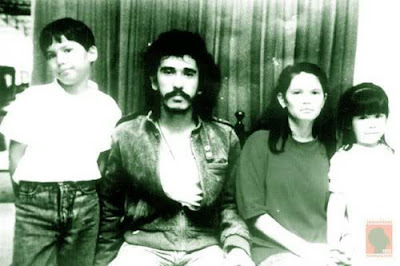 I will start with analyzing the family background and experience of Iwan as well as his elite connections, especially in the period before the reform. His full name is Virgiawan Listianto. He was born in Jakarta, September 3th, 1961 as the fifth of nine children. His father's name is Harsoyo who came from Blitar, East Java. His father was a soldier with the rank of colonel. His mother was Suudiyah Lies, originally from Solo, Central Java. His mother is a woman of Arab descent. Information about Iwan's father is very limited. It seems that Iwan very rarely talks about his father. He has a lot to discuss about his mother; he even created a song about his mother. But he never wrote a song about his father. In one interview, he said that he grew up in a military-style discipline. As a boy, he dreamed of becoming a soldier. He failed to accomplish his dream later on because he was far more interested in becoming a musician. In an interview with Tempo magazine, he says that in his childhood, he was very proud as a soldier’s child. When one day he fought with the neighboring children, he took his father's AK-47 to scare the neighbors. At the age of 11 years, Iwan moved to Bandung where two of his sisters lived. He attended school in junior high school (SMP) 5 Bandung. Since he didn’t want to live with his sisters, he lived alone in a dormitory. Apparently, he wanted to be more independent. Maybe, he felt more freedom without his family. In several interviews, he said that before passing his junior high school, his parents moved him to Jeddah, Saudi Arabia. His parents wanted him to be more focused in school. He stayed there for more than eight months. Finally he returned home. On the way home, he met a stewardess who taught him about Bob Dylan song called Blowing in the Wind. Returned from Jeddah, he lived in Jakarta. 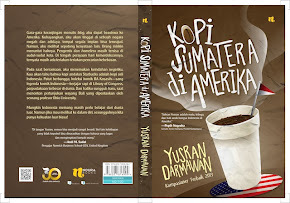 Soon after, he went to Yogyakarta, and after that he returned to Bandung. He also went back to school and spent time as a street musician. Then he moved to Jakarta. There is no clear answer why he became a musician. He explained his choice in one of his songs. With respect to Iwan’s experience, there are two assumptions that can be mentioned here. First, as noted by Shiraishi (1997), what was missing in New Order family is the sense of belonging. Children, both young and old, were rarely found in their houses during the day time when school is over. They freely moved around the neighborhood alleys and the narrow spaces between houses. Second, Iwan Fals grew up in a middle-class family who enjoyed many facilities and luxuries in the New Order. But it seems that he choose to leave the house, and then express himself through his music. In the New Order period, its rapid development program successfully created a layer of middle-class. Later on, the middle class became a group that was politically educated about their rights. 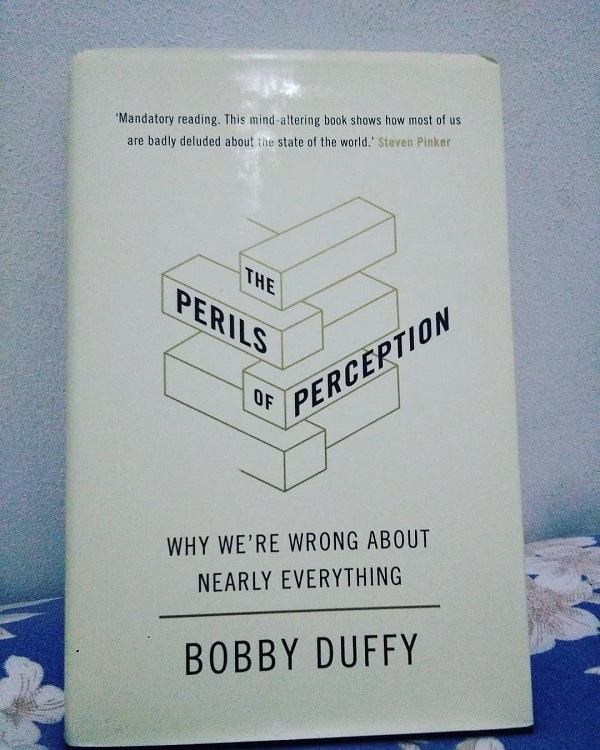 This group held a critical awareness and understanding of the complex social reality, which explains why they began to criticize the government. In the early period of his career, Iwan played country songs. The character of each of his songs plus the lyrics made his style often associated with Bob Dylan’s. When he launched his debut album Sarjana Muda, he gained an immediate popularity. The media also began to refer to him as the creator of songs of social critiques. Most of his successful early songs told stories about social inequalities. Guru Oemar Bakri from his first album in 1981, recounts the saga of a mathematics teacher who, even this technological age, still had to ride an old bicycle, while his low wages consistently dropped every month. Gradually, Iwan gained a large audience with songs like Demokrasi Nasi (Rice Democracy) and Tahun 2000 (Year 2000), a warning that overpopulation might eventually sink Java into the sea. 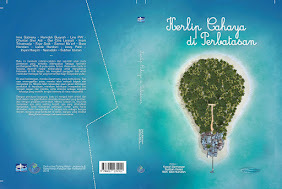 He also wrote Mbak Tini (about the struggle of a truck driver laid off by the government.). His song reflected sympathy for and criticisms against the human cost of New Order’s socio-economic changes, such as underpaid teachers, shoeshine boys, desperate prostitutes and unemployed university graduates. The critical lyrics of his songs soon attracted even more attention, incluiding a twelve-day interrogation by local police in Riau Island in 1984, after he helped a student fundraising effort. His notoriety as a potential oppositionist may have deterred further serious media coverage. Iwan particularly has achieved wide popularity among the urban youth , including both from the kampungan (villages) and university circles. Everyday dozens of youth visit the singer’s home, mimicking his fashion trademark of blue jeans, long hair, and bandannas. Indeed, in 1990, a magazine was banned for a survey that listed Iwan (and Soeharto) more popular than the Prophet Muhammad, who was the eleventh and as a result, devout Muslims were outraged. In 1990, Iwan formed a new group, Swami, which also included a prominent vocalist Sawung Jabo. They made ​​a number of critical songs. Among them are Bongkar and Bento. The song Bongkar was written ​​ when the Kedungombo village will be forcefully sunk by the government for a dam construction project. In 1990, Swami’s concert with Rendra and his Bengkel Theater group spectacularly attracted 120,000 to 200,000 to the Gelora Bung Karno Stadium, marking it as the largest concert in the nation’s history. The song Bento was based on the fact that many entrepreneurs who built real estates and bought villager’s land. Many mass media said that Bento was an abbreviation of Benci Suharto (Hate Soeharto). Others said Benci Tommy Suharto (Hate Tommy Soeharto). It’s interesting to analyze that the personnel of Swami are from the middle-class background. While Iwan is from a military family, Sawung Jabo is also from the middle class background. Jabo graduated from one of the prominent universities in Australia. He is also married to Suzan Piper, an Australian girl. 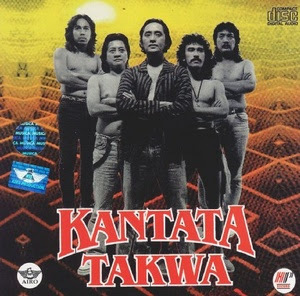 After dorming the Swami Band, Iwan and Jabo Takwa joined with WS Rendra (1935 - 2009) and Setiawan Djody to create Kantata Takwa. Each person has a unique background. Renda was born in Solo, Central Java. He is a poet who is often dubbed as the ‘Peacock’. He founded the Bengkel Theater in Yogyakarta in 1967. When a theater group in disarray because of political pressure, then he founded the Bengkel Teater in Depok, October 1985. He was active in writing short stories and essays in various magazines since he was studied in the college. Rendra was a poet with an international reputation. He also actively participated in festivals abroad, including the Rotterdam International Poetry Festival (1971 and 1979), The International Poetry Festival Valmiki, New Delhi (1985), Berliner Horizonte Festival, Berlin (1985), The First New York Festival of the Arts (1988), Spoleto Festival, Melbourne, Vagarth World Poetry Festival, Bhopal (1989), World Poetry Festival, Kuala Lumpur (1992), and Tokyo Festival (1995). Setiawan Djody (born 13 March 1949; Solo, Central Java, Indonesia) is an Indonesian businessman and guitarist. He was a Wharton School graduate in 1974 and got the S-2 Philosophy from the University of California. He is the Chairman of Setdco group in Indonesia. Setdco was being named after his own name. He is also a musician, being listed by Rolling Stone as one of Asia's top guitarists. The majority of its investments are in the areas of oil business, the media and agro-industry; including telecommunications. He is listed in the 150 Richest Indonesian by the Forbes magazine 2007. He is also active in the business of shipping and has several shipping companies. 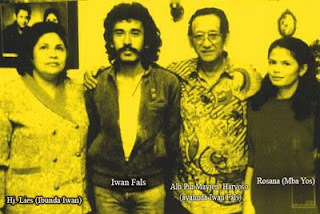 From this background, we can conclude that Iwan Fals and his group were part of the middle class who saturate with the New Order government. They joined with other middle-class alliance to overthrow the Suharto regime. We can conclude that the reform movement is not a lower class movement, but middle-class movement that wants to change an order. Most of Iwan Fals albums were released in 1980s. A total of 16 albums were released in this period, the times when the New Order government chose the economic development as its main objective. Policies determined by the military-dominated administrative structure. With the support of many economic advisors who graduatde from several universities in the United States (US), the New Order government exploited a huge amount of natural resources in order to increase the economic growth. However, growth was not evenly distributed in Indonesia. Since 1966, Indonesia entered the New Order. As the president, General Suharto has mixed military and civilian leadership and allowed some limited opposition but kept the mass “fluctuating” – or politically “neutral” and excluded the Marxists. These policies created stability and mediated the emergence of an educated urban middle class, but at the expense of some systematic repressions of all social forces as well as the imposition of a highly manipulated political structure. During 1980s, a limited multiparty parliamentary system developed, but Golkar, a functional coalition of groups allied to the military and bureaucracy, dominated somewhat state-engineered elections and the whole country’s political agenda in what has been called a ‘hegemonic party system.’ The electoral campaigns, routinely but alluringly labeled ‘Festival of Democracy’, were ritualistic and orderly in its rhetoci, with large numbers of security police. Behind the scenes, the military remains the main arbiter of power. The authorities, concerned with limiting the potential for disorder, considerably restricted the airing of opposing viewpoints and closely monitored the mass media, most of them practiced self-censorship or came under formal or informal government surveillances. The government at that time viewed the media largely as an unofficial ‘bulletin’ or ‘conveyor belt’ for government information, and most editors promoted close relationship with members of the ruling elite only to retain their jobs. Although the New Order had great achievements in economy, the freedom of expression was not guaranteed. The government relied on a strong centralization of power in the hands of President Soeharto and his followers. Political freedom was suppressed by physical violence, detention and bans of certain publications or actions Political power of the New Order was an authoritarian bureaucratic character that marked the dominance of the role of the State in all areas and the suppression of political power. 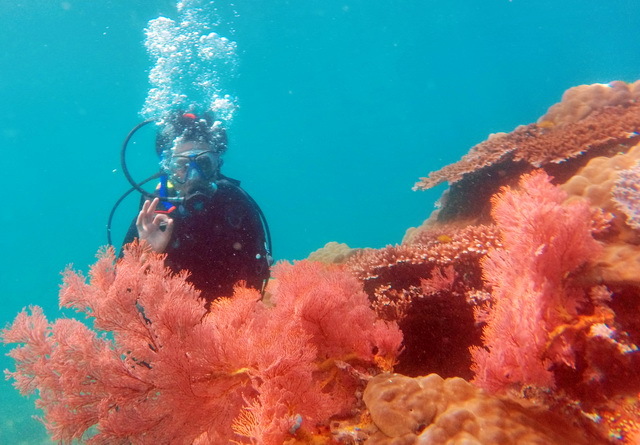 Ben Anderson wrote, “Over the past dozen years I have been accustomed to asking Indonesian youngsters who visit Cornell or come to study there this simple question: Who in Indonesia today do you admire and look up to? The common response is, first, bewilderment at the question, then a long scratching of the head, and finally a hesitant ... Iwan Fals. Isn't this rather terrifying? I don't mean that everyone can or should become a great man or woman. But I think that every man and woman can decide not to be a dwarf.” See: Anderson, B. (1999) Indonesian Nationalism Today and in The Future. 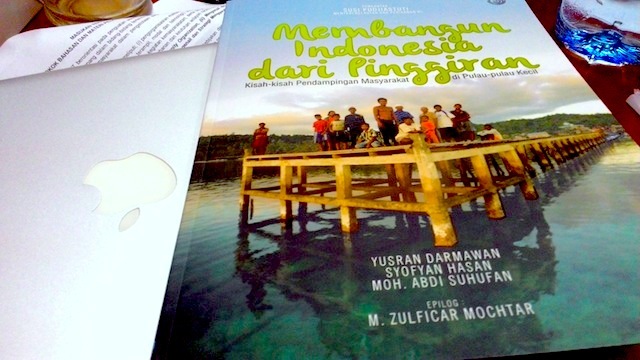 In Indonesia, No 67 (Apr 1999), pp. 1 - 11. 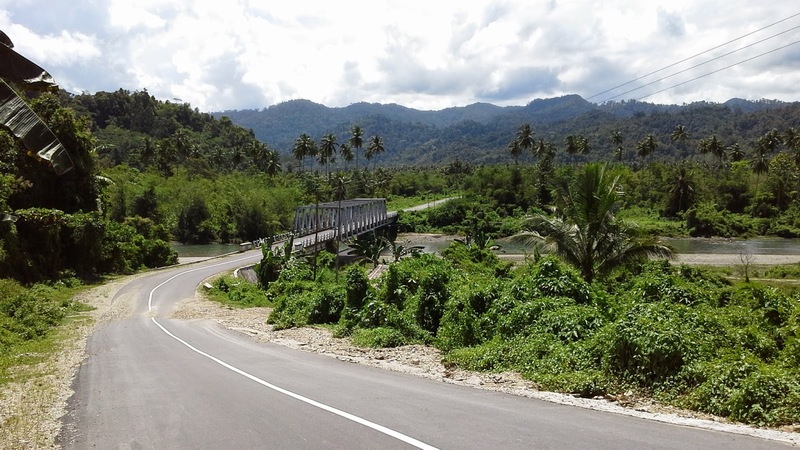 Cornell: Southeast Asia Program Publications. See Lockhart (1998) Dance of Life. Popular Music and Politics in Southeast Asia. Honolulu: University of Hawai’i Press. Mogi Darusman's album was the first and the last one. He was banned and not allowed to sing in Indonesia. See Mulyadi, M. (2009). Industri Musik Indonesia: Sebuah Sejarah (Indonesia Music Industry. A History). 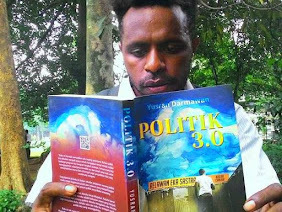 Bekasi: Koperasi Ilmu Sosial. The song "Tante Soen" was banned by government in 1977. Because of this song, The Television of Republic Indonesia banned Bimbo in the screen for several years. Indonesian Record Museum (MURI) noted that Iwan Fals concert on June 23, 1990, at the Bung Karno Stadium, was the most widely attended concert audience. Muri estimated that concert was attended more than 150,000 people. This amount exceeds the capacity of the stadium that only 90,000 people. See Mandal, S.K. (2003) Creativity in protest: art workers and the recasting of politics and society in Indonesia and Malaysia. 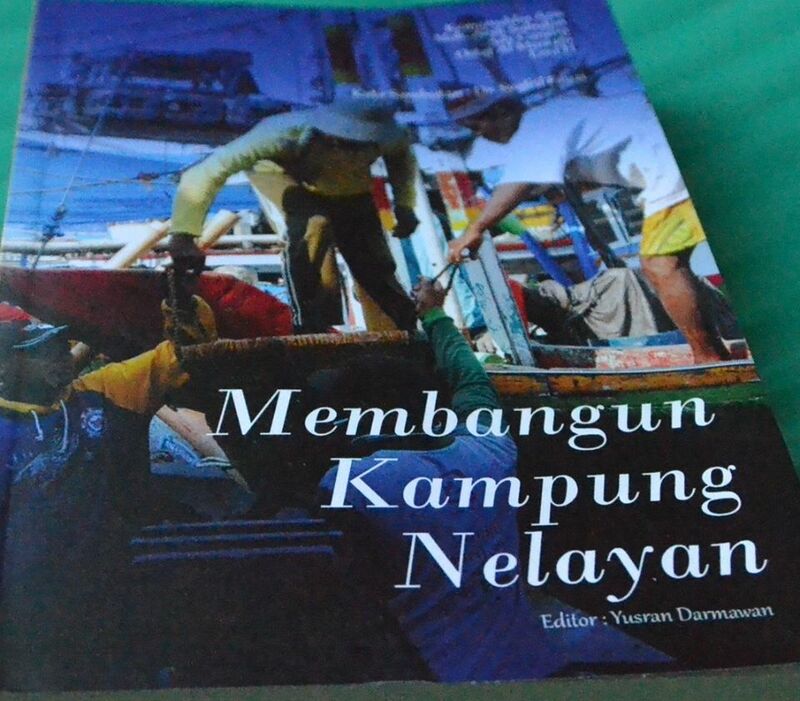 In Heryanto, A. and Mandal, S. K (2003) Challenging Authoritarianism in Southeast Asia. London: Routledge. Iwan Fals: “Saya bermimpi tak ada tentara.” (I have a dream that there are no soldiers). In Tempo 10/XXXIII, May 3th, 2004. The title of song is “Rindu Tebal” (The thick longing). In Sugali (1984). See Shiraishi, S. (1997). Young Heroes. The Indonesian Family in Politics. 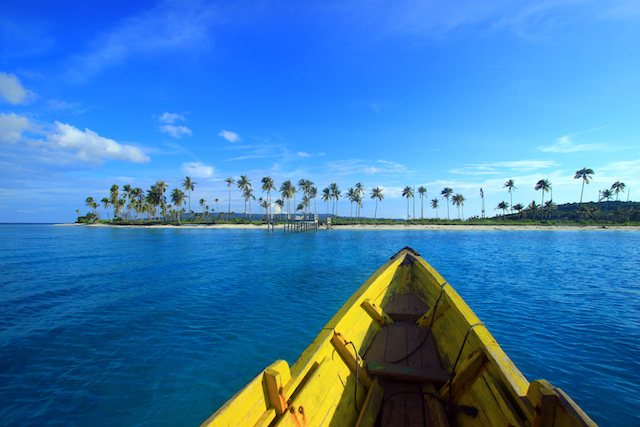 Cornell: Southeast Asian Studies Program.